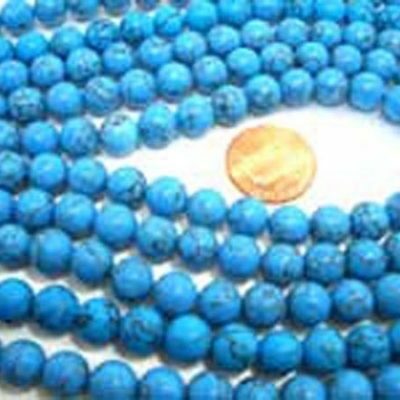 There are approximately 29 beads per strand measuring approximately 16 inches. 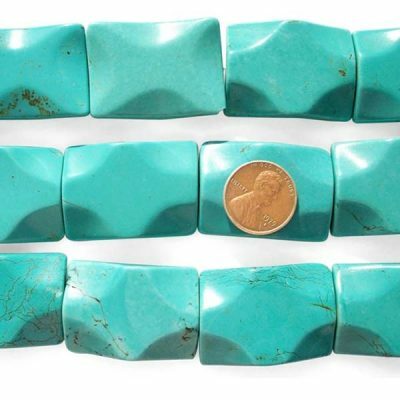 Each strand has an approximate weight of 45 grams. 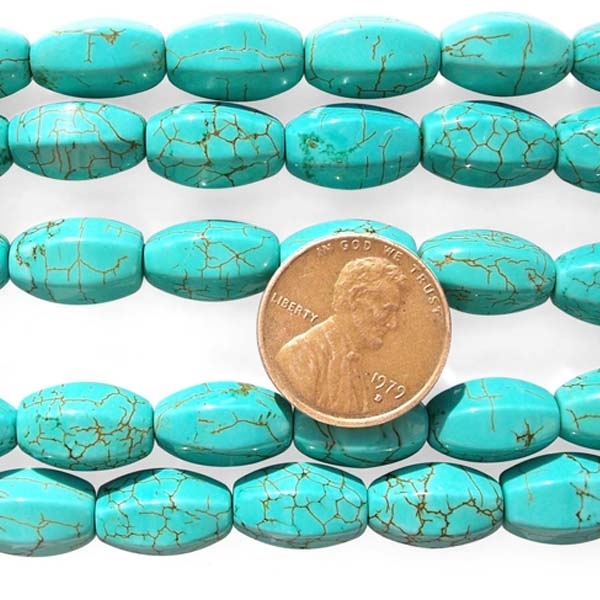 Please note these turquoise beads are reconstituted and there may be slight variations in color. 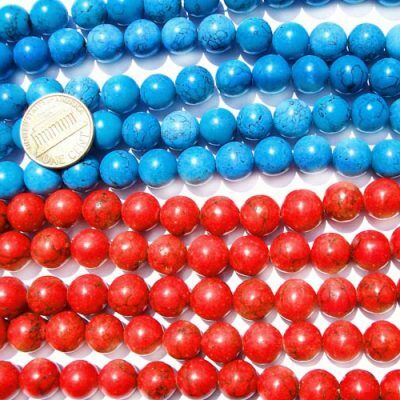 Picture is taken with a penny to give you a sense of size.